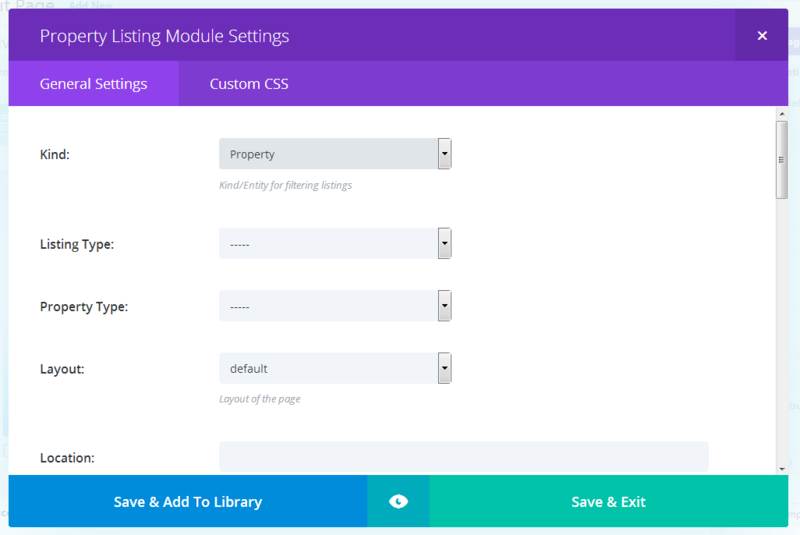 Since WPL3.5.0, You can use WPL Modules in Divi Page builder if you're using Divi Theme (or Divi Builder plugin without its theme). 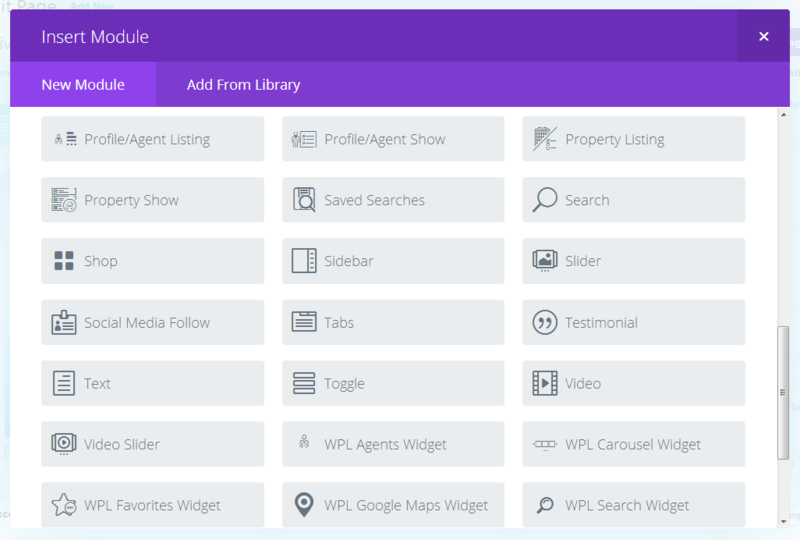 This feature is included in WPL Basic and WPL PRO so all of WPL users can use it. 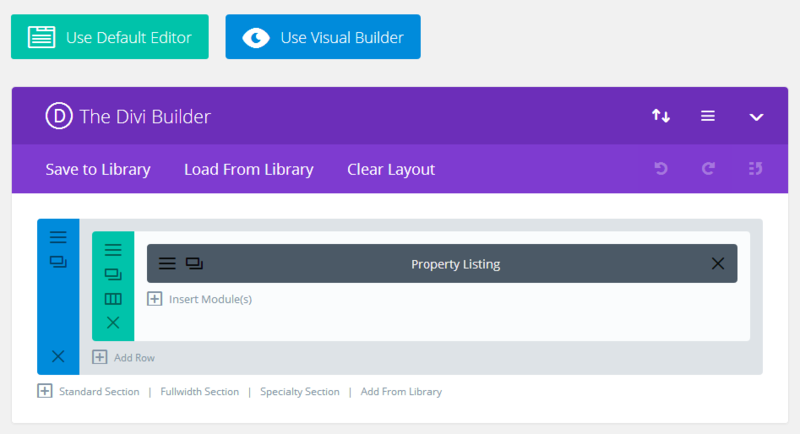 In the Divi backend page editor, Try to add a new module and then you will find WPL modules. Some of them are listed in middle of the modules list and some other listed at the bottom of module list. Note: You're still able to insert WPL shortcodes inside of a simple text module. 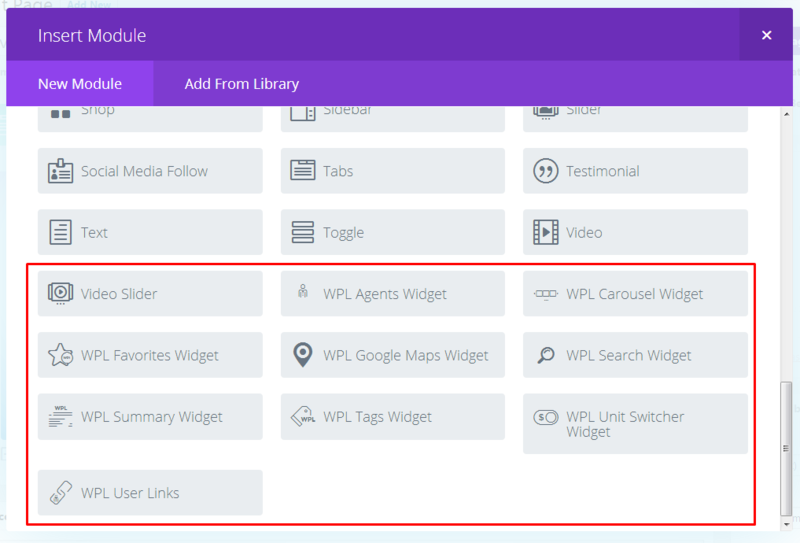 As you can see there are many WPL modules defined for Divi Builder and you can place as many modules as you like to your page but please note that you should only place one WPL shortcode inside of the page. By WPL shortcodes, we mean Property Listing, Profile Listing, Property Show, Profile Show etc.